"I know what it feels like to be on that stage, and I'm going to bring that vibe and energy," Keys, 37, released in a statement to the media outlet. "I'm so excited to be the master of ceremonies on the biggest night in music and celebrate the creativity, power and magic. I'm especially excited for all the incredible women nominated this year! It's going UP on Feb. 10!" Readers may already be aware that the 15-time Grammy winner will be following in the footsteps of two-time host and comedian James Corden. While speaking with Entertainment Tonight about hosting music's biggest night, Keys said, "This is my first time. I am thrilled! It's a little bit of a second home to me. And I feel so blessed to be able to be coming now, just in support of so many amazing people that are honored — especially so many women that are [going to be] honored — and are gonna be celebrated that night." As Nicki Swift previously reported, this year's nominees were announced in early December 2018. With rapper Kendrick Lamar leading the pack with eight nominations, Drake followed closely behind with seven, while Cardi B and Childish Gambino both scored five nods. At the time of this writing, further details surrounding the ceremony, including featured performances, have yet to be revealed. However, with Keys at the helm, it promises to be both an entertaining and meaningful night. 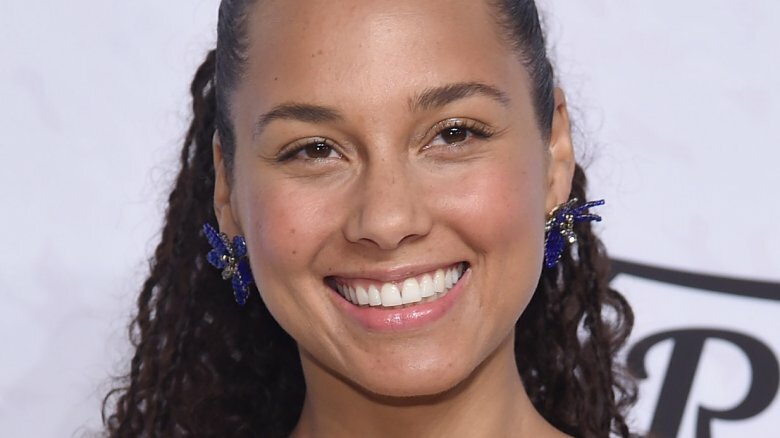 "A dynamic artist with the rare combination of groundbreaking talent and passion for her craft, Alicia Keys is the perfect choice as host for our show," the President/CEO of the Recording Academy, Neil Portnow, said of the "Fallin'" hitmaker in a statement to E! News. "Throughout her exciting career, I have watched her become a powerful force within the music industry and beyond. As an artist who speaks to the power of music for good, a role model, and a spokesperson for change, we are thrilled to have her on board for what's sure to be an unforgettable Grammy Awards."